Symbol of best-in-class quality: the coveted Nokia blue crystal awards trophy. We’ve had many reasons to celebrate at Nokia lately. 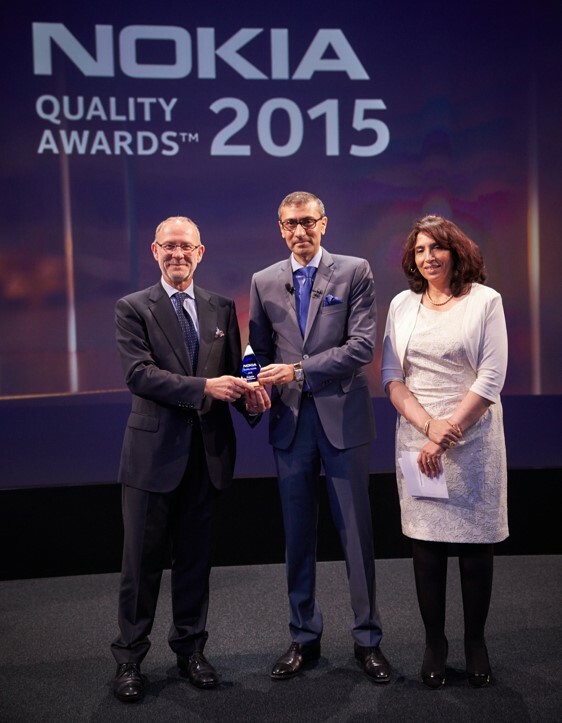 One occasion that is especially close to my heart is the Nokia Quality Awards™. Held on 27 October, this prestigious annual event drives, rewards and institutionalizes continuous improvement in our company and beyond. Altogether, 200 teams competed in the 2015 Nokia Quality Awards, which translates to more than 2,000 Nokia employees focusing on improving quality in their area. Following a rigorous multi-month assessment, the top 12 teams emerged as quality improvement superstars. Representatives from the 12 teams travelled to Nokia headquarters in Espoo, Finland to present their quality success stories to an audience of Nokia senior leaders. They certainly left no room for doubt: Nokia’s got quality talent! 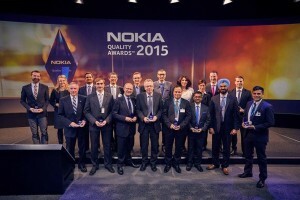 The 2015 Nokia Quality Awards winners! 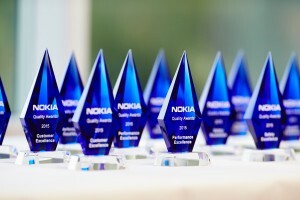 While all 12 entries raised the bar on quality to deliver significant business results, the judges had the difficult job of selecting one winner in each of the four categories – three Nokia performance categories and one supplier category. I’d like to recognize the finalists of the last category, our suppliers Amphenol North America, Flex Poland, and Radiall China. They presented brilliant quality projects. Thank you to all three for being part of this special Nokia event – and thanks as well to the 9 Nokia teams competing in the other categories! Nokia sees continuous quality improvement as a contributor and enabler of business performance. It drives innovation and enhances customer value, revenue and market share. This is why quality remains a top business priority, our leadership takes personal ownership of it and our growing ranks of quality experts bring Kaizen, Lean and Lean Six Sigma to life. Quality is at the heart of Nokia’s brand promise. The winner of the Supplier Excellence category, Dominique Pellizzari, Radiall, China, with the official awards sponsors, Nokia President and CEO, Rajeev Suri, and VP, Networks Quality, Deepti Arora. Please share your thoughts on this topic by replying below – or join the Twitter discussion with @nokianetworks using #NetworksPerform #innovation #nokiaquality. Deepti Arora is Nokia’s Chief Quality Officer. A transformative leader with a strong technology business and management background, Deepti integrates customer insights and a profitability mindset into the end-to-end transformation of quality across global sales, operations, product, services and supply chain. With a proven track record, she is experienced in leading large global organizations to deliver on customer commitments, improve business performance and drive digital innovation.